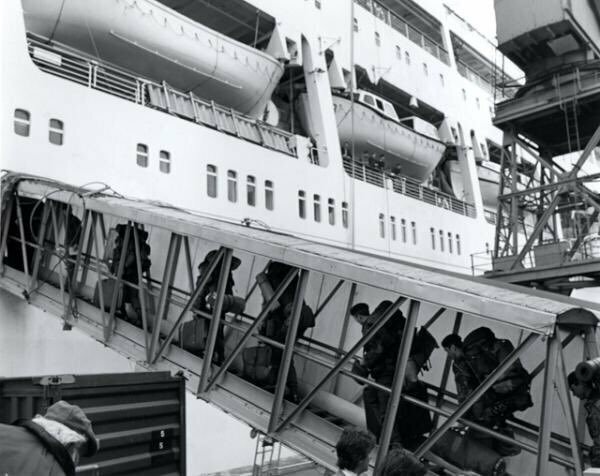 #OTD 3 Commando Brigade leave Portsmouth for the #Falklands aboard SS Canberra. 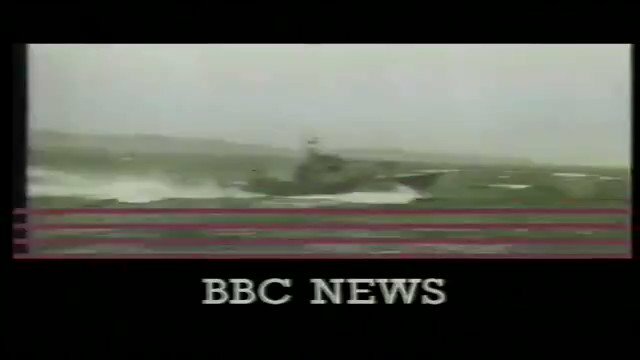 A section of BBC News from 9th April 1982: the Soviet Union describe the UK’s task force as "an immediate threat to international peace"
A CIA brief from 9th April states "the Argentines are reportedly lengthening the air strip in Port Stanley to accommodate A-4, MIRAGE, PUCARA, and C-130 aircraft and reinforcing the island with additional troops and air defence equipment"
#OTD 1782 - The start of 3 days of chasing and fighting began in what was to become known as the Battle of the Saintes, off Dominica. 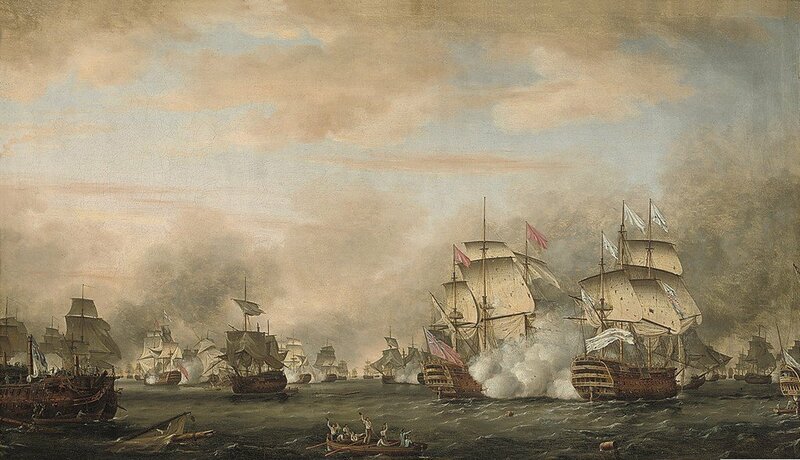 A French fleet under the Comte de Grasse met a British fleet under Admiral Sir George Rodney. Brief background - Sept 1781 - De Grasse's victory over a British fleet off the Virginia Capes stops the navy from reinforcing Yorktown & results in the surrender of troops under Cornwallis the next month. 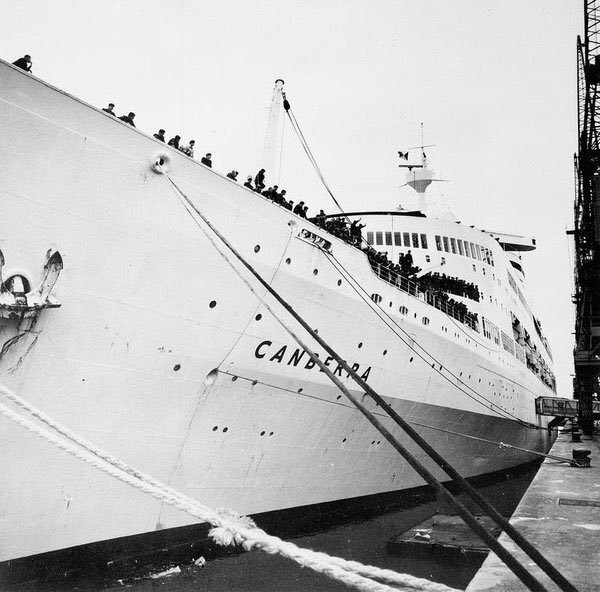 The Comte de Grasse returned to the Caribbean. 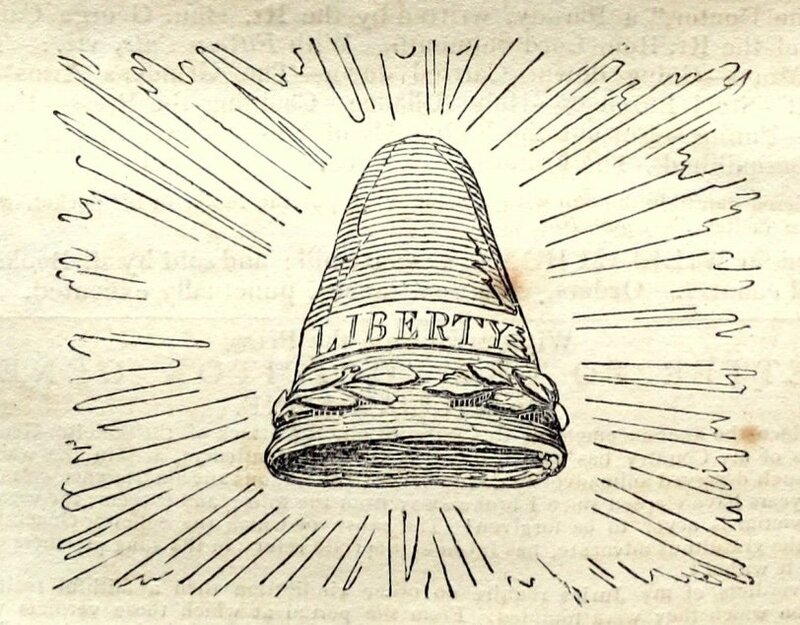 I’m going to explore this little know attempt at “Liberty or Death” through the story of one man, John Baird. First a loyal soldier, then a deserter, a weaver, and finally a rebel. 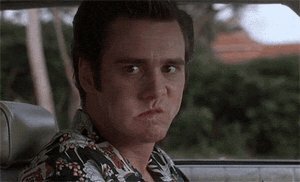 It’s going to be a long thread and spread over a couple of days, hold on to your hats. 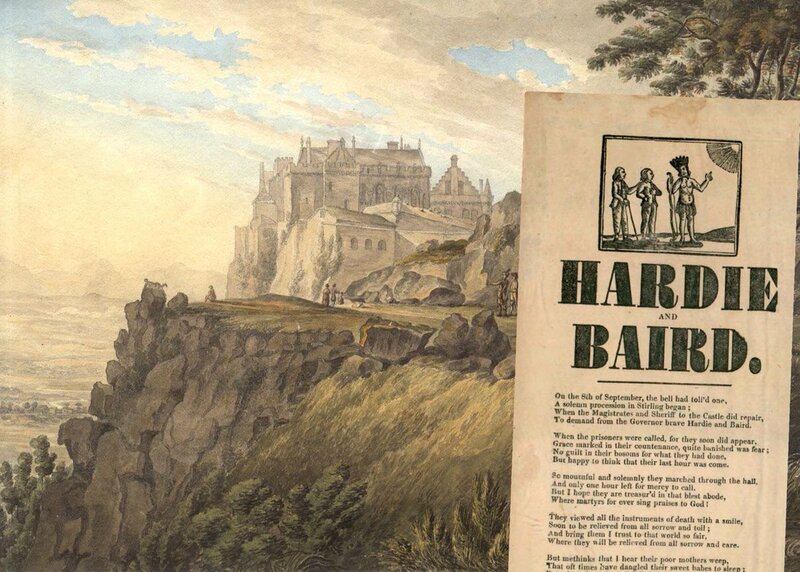 Baird joined the 2nd battalion of the 95th Rifles in Glasgow in 1806. Promoted to bugler, he was sent with the battalion in the expeditionary force commanded by General Whitelocke to attack Napoleon's Spanish allies in Buenos Aires. 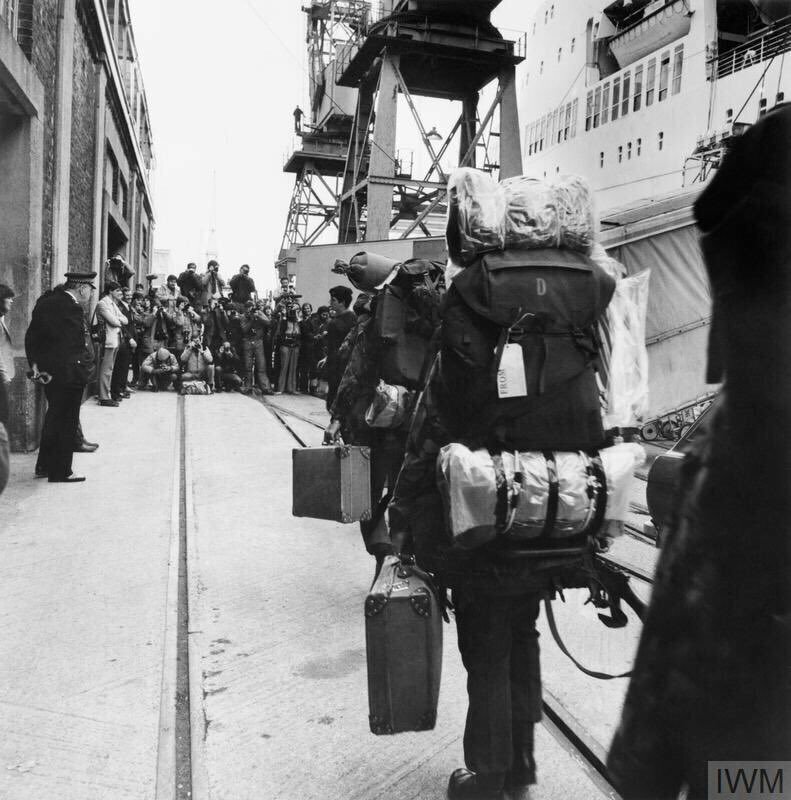 Very Brief Background: Britain was still imposing a blockade of France as well as a stop & search of ships from other countries with materials that may be headed to France. In December 1800 the coalition agreement was signed and The Second League of Armed Neutrality was formed. 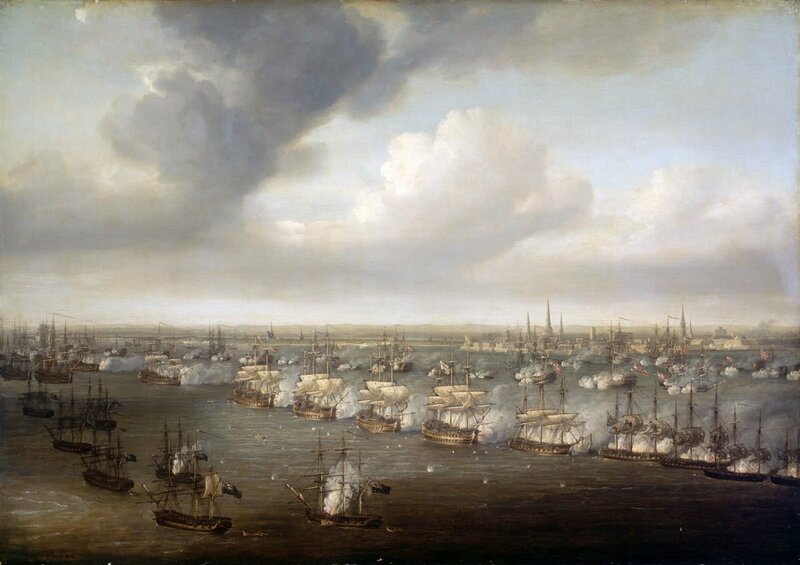 March 1801: British fleet heads to the Baltic to break it up. 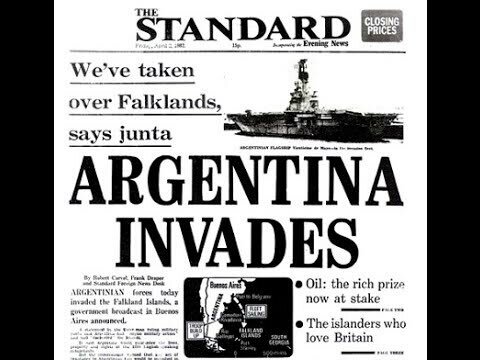 #OTD in 1982, Argentina began Operation Rosario and invaded the Falkland Islands. 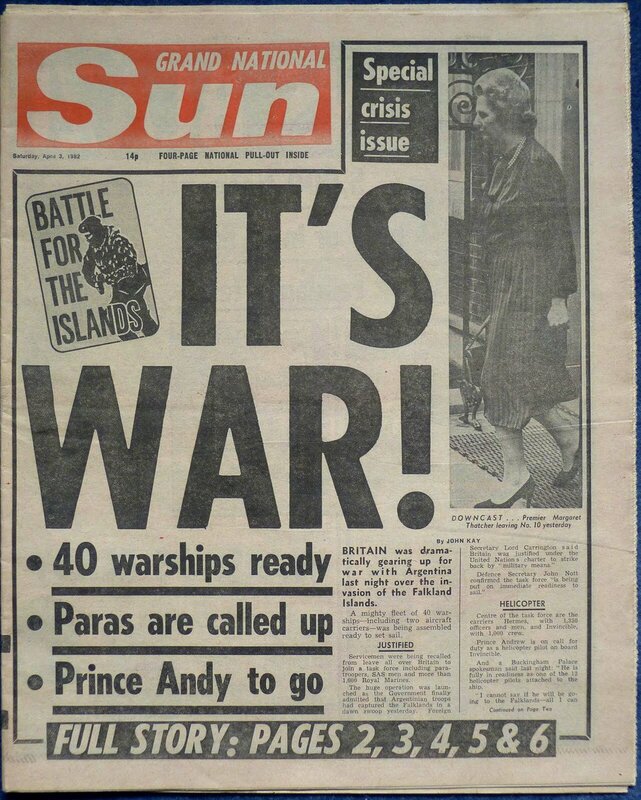 Over the next few months I’ll (attempt to....) recount the 1982 conflict as best as I can. 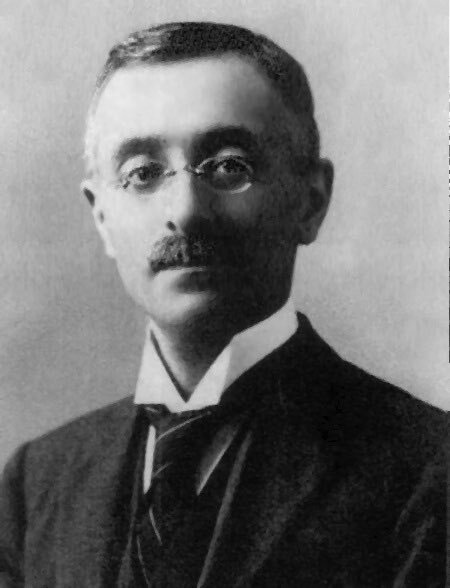 One of the best quotes from 2nd April 1982 - a Royal Marine to one of the Argentine soldiers: “Don't make yourself too comfy here mate, we'll be back"
The mathematician Tullio Levi-Civita was born #OTD in 1873. He developed modern tensor calculus with his advisor Gregorio Ricci-Curbastro, applied it to problems in physics, and famously pointed out an error with Einstein’s pre-1915 Entwurf theory of general relativity. The “calcolo differenziale assoluto” of Levi-Civita and Ricci-Curbastro allows one to write equations that take the same mathematical form in any coordinate system. This is exactly what Einstein needed in order to implement the principle of covariance in general relativity. But when Einstein wrote the gravitational field equations in his "Entwurf" theory, he made an assumption about the coordinate system. The equations were covariant when moving between coordinate systems that respected this assumption, but they were not fully, generally covariant. 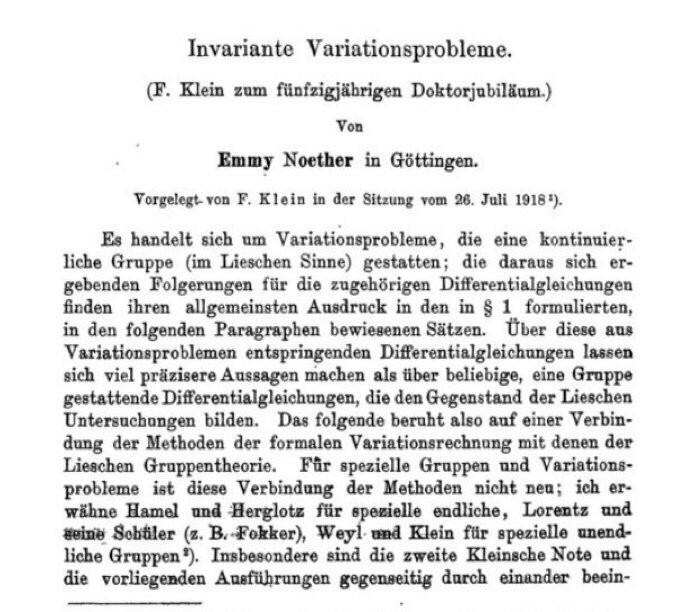 The mathematician Emmy Noether was born #OTD in 1882. 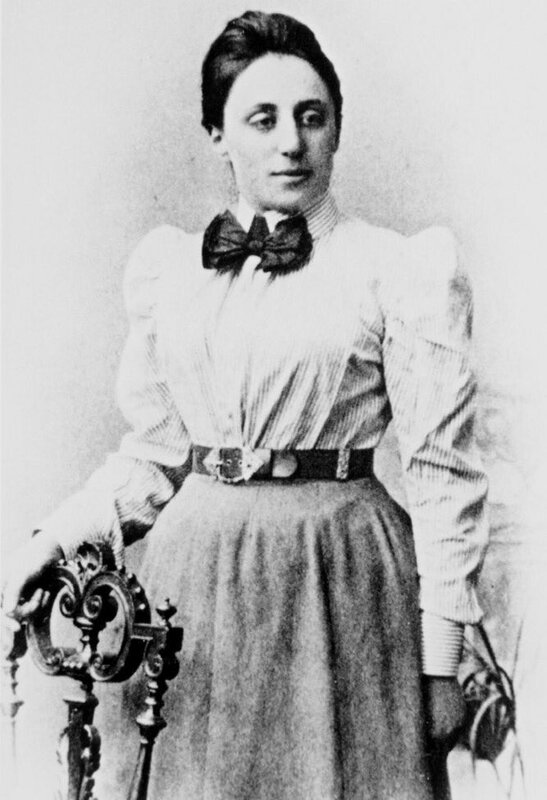 She made groundbreaking advances in abstract algebra, and her eponymous theorems articulated the deep connection between symmetries and conserved quantities in physics. A symmetry is something you can do to a system that doesn’t change its physics. For example, all other things being equal, a collision between two masses works out the same way in your office and in the lab down the hall. A translation down the hall is a symmetry of the physics. 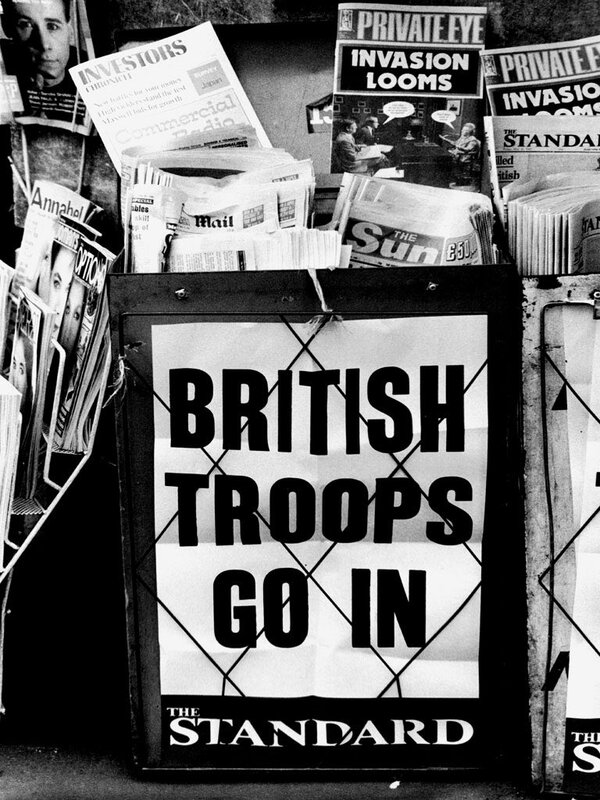 What Scotsman was caught up in a civil war before the age of twenty? Wrote a book that became the inspiration for an #Oscar-winning film? 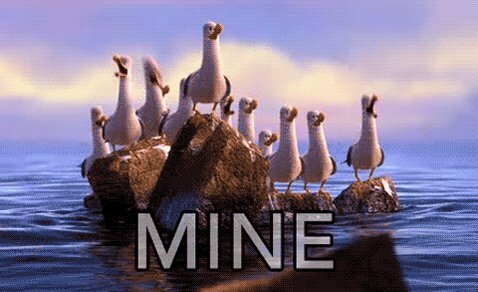 Met a runaway teenager in Paris & married her against the wishes of his family? Lost his ranch to raiding Apaches? Went into Parliament as a #Liberal and came out as a #Socialist? 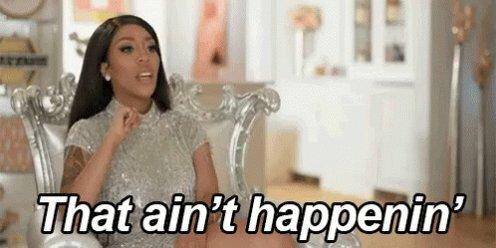 Assaulted a policeman in defence of free speech and was sent to prison? Travelled in disguise in Morocco trying to reach a forbidden city? Was a founder of both @scottishlabour & @theSNP? Was a ferocious critic of imperialism, racism & cruelty to any human or animal? Bought his favourite horse from the Glasgow Tramway Co. & rode it for 20 years? 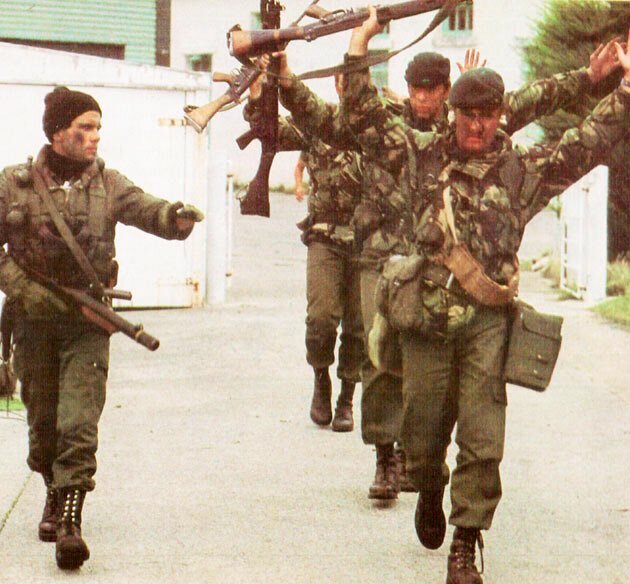 Rounded up horses at the age of 62 for use by the Army? Wrote nearly 30 books, including 200 short stories & sketches? 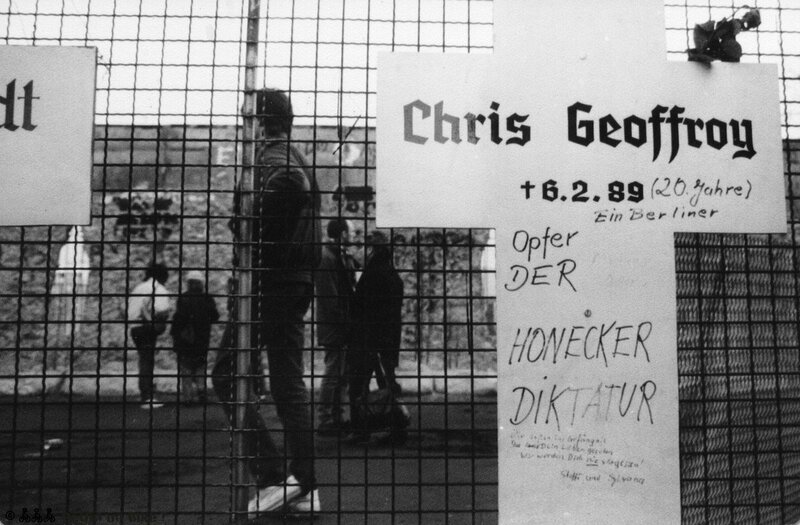 30 years ago #OTD Chris Gueffroy was shot to death trying to cross the Berlin Wall. 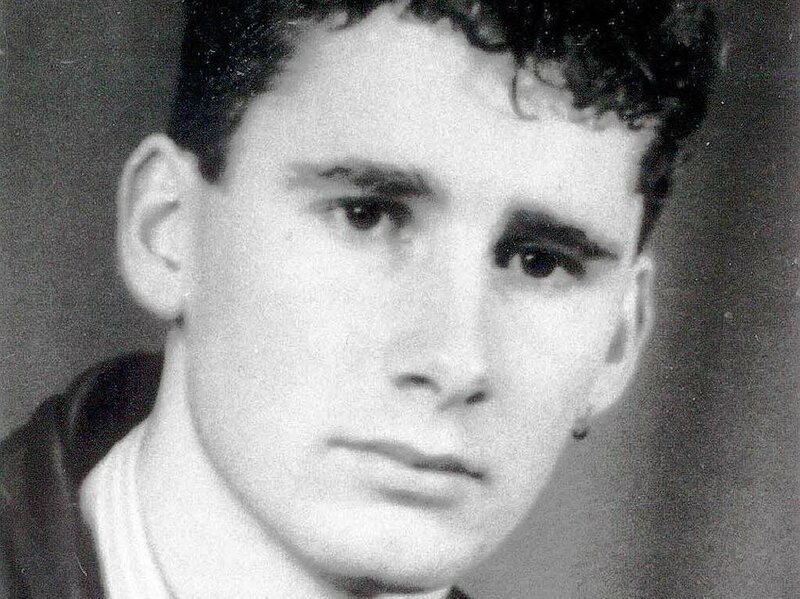 He was the last person killed by East German border guards in the attempt. 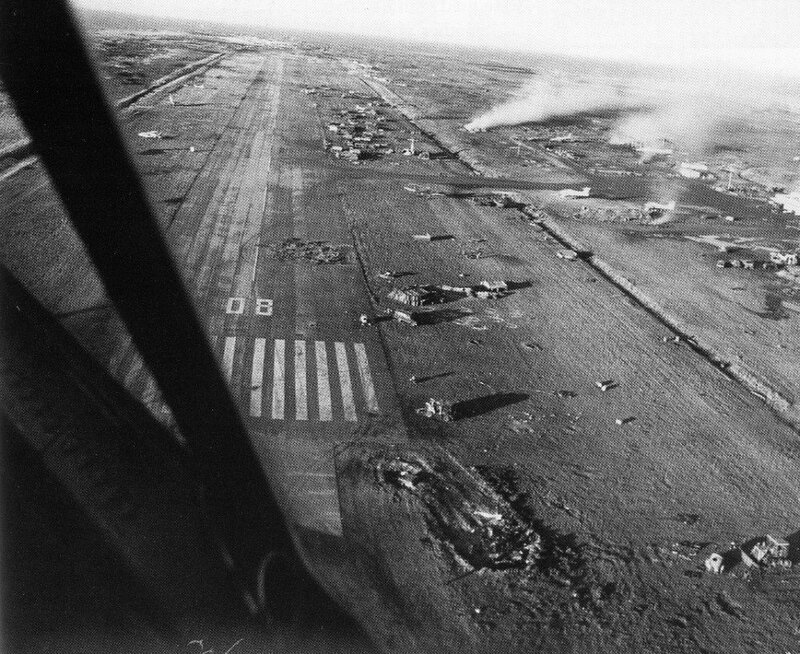 Gueffroy heard rumour that the "order to shoot" had been lifted and thought a visit from Swedish PM would make crossing safe. But the order to shoot was still in effect and the Swedish PM already gone; Gueffroy was shot repeatedly and died on site. 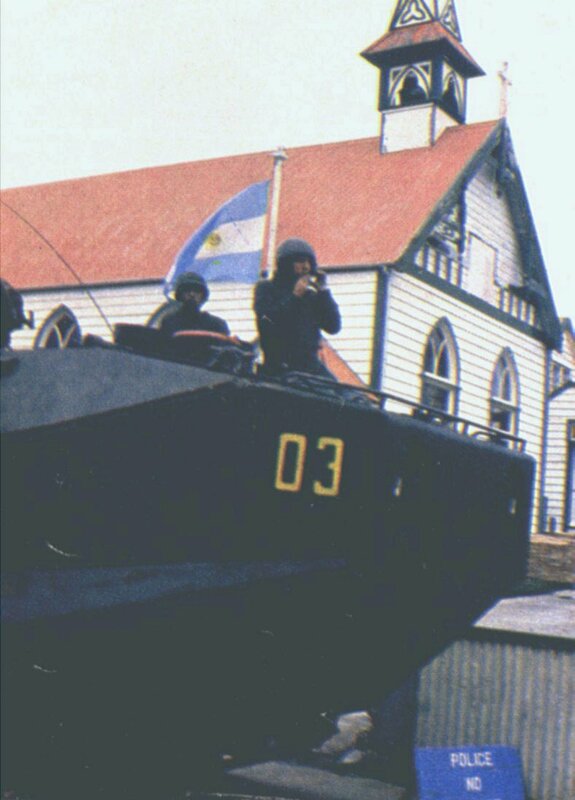 Killing Chris Gueffroy damaging to SED at time of rising unrest. 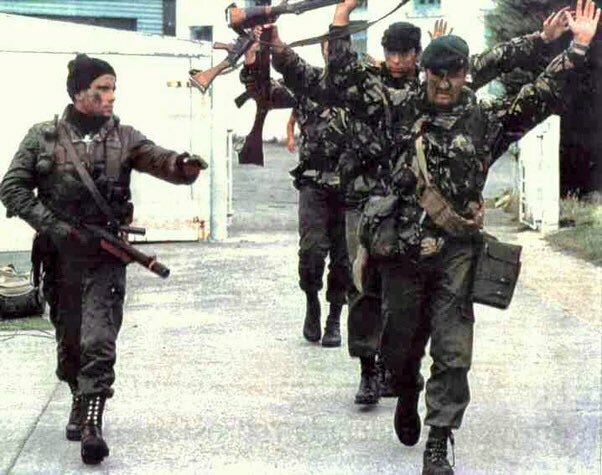 Order to shoot at Berlin Wall lifted in April 1989. 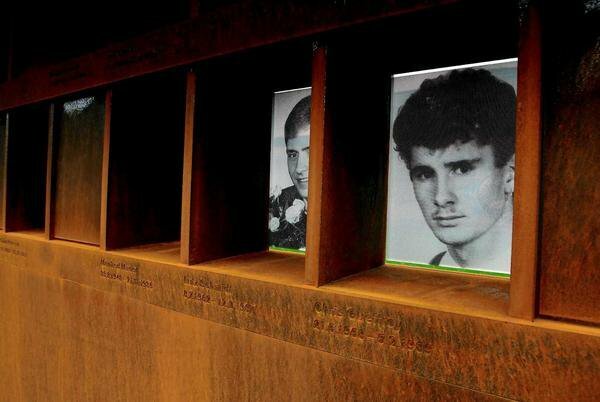 Of the 140 who died as the result of the creation of the Berlin Wall, Gueffroy was 139th. 2/ When Wright was on the Court, he and his colleagues worked out of the State House. 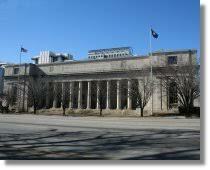 It was not until 1971 that the Court finally moved into its own building – the renovated Columbia Post Office. 3/ Before serving on the Court, Wright was active and influential in law and politics. 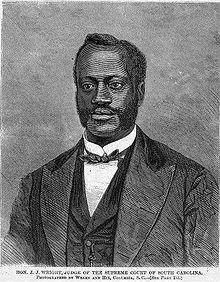 He was one of the first three African-American attorneys admitted to the South Carolina bar in 1868. Enquanto Mariana e Brumadinho choram, as lágrimas de Unaí ainda não secaram. 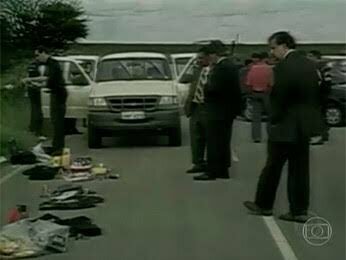 Há exatamente 15 anos, em 28 de janeiro de 2004, três auditores fiscais do trabalho e um motorista do ministério foram mortos numa emboscada perto da cidade mineira de Unaí, a 166 km de Brasília. 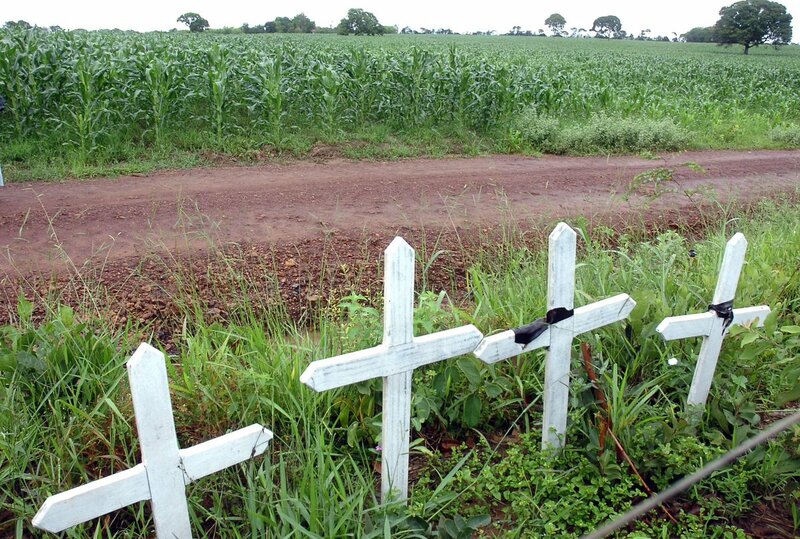 Os auditores investigavam trabalho escravo na zona rural, quando foram emboscados e mortos por três pistoleiros contratados por fazendeiros. 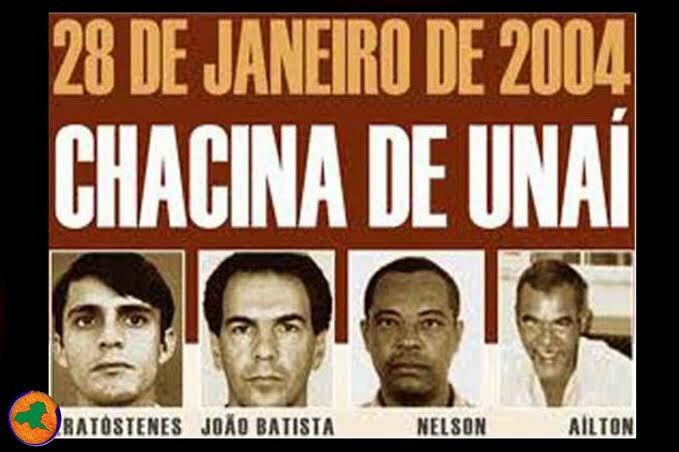 O @MPF_MG denunciou oito pessoas por quatro homicídios qualificados, entre eles Norberto Mânica e o ex-prefeito de Unaí, Antério Mânica. 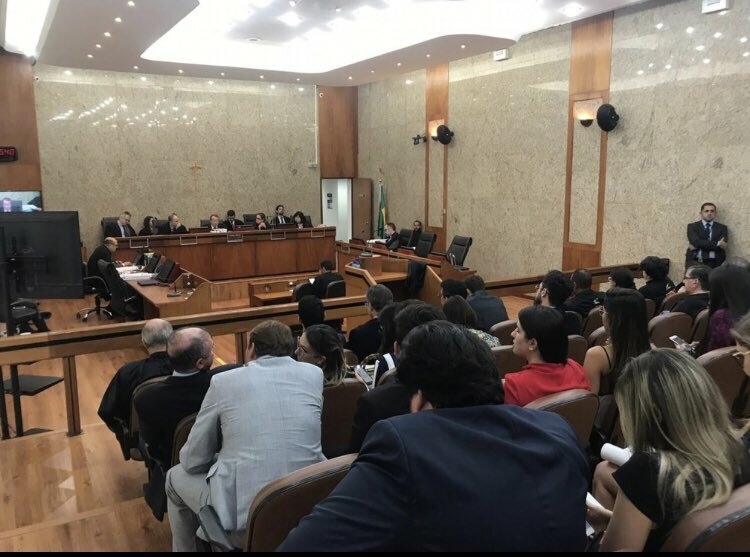 Os júris federais foram realizados em Belo Horizonte. O dos 3 pistoleiros ocorreu em 2013 e já cumprem pena. 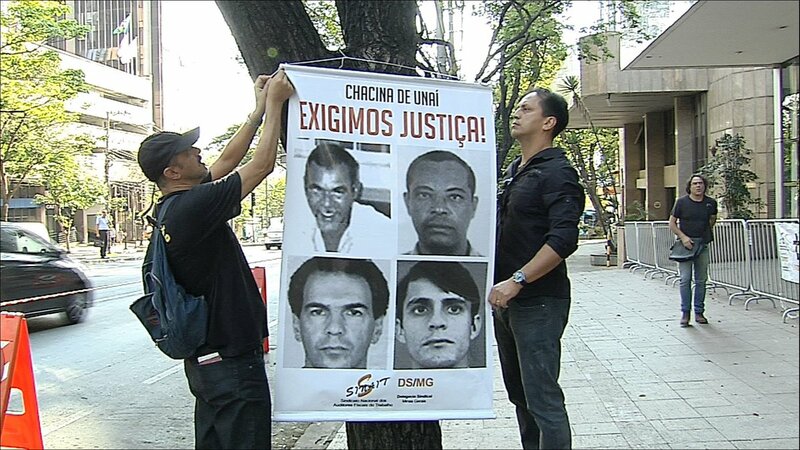 Erinaldo Vasconcelos Silva (74 anos de prisão após fazer acordo de delação premiada); Rogério Alan Rocha Rios (94 anos de reclusão); e William Gomes de Miranda (54 anos). 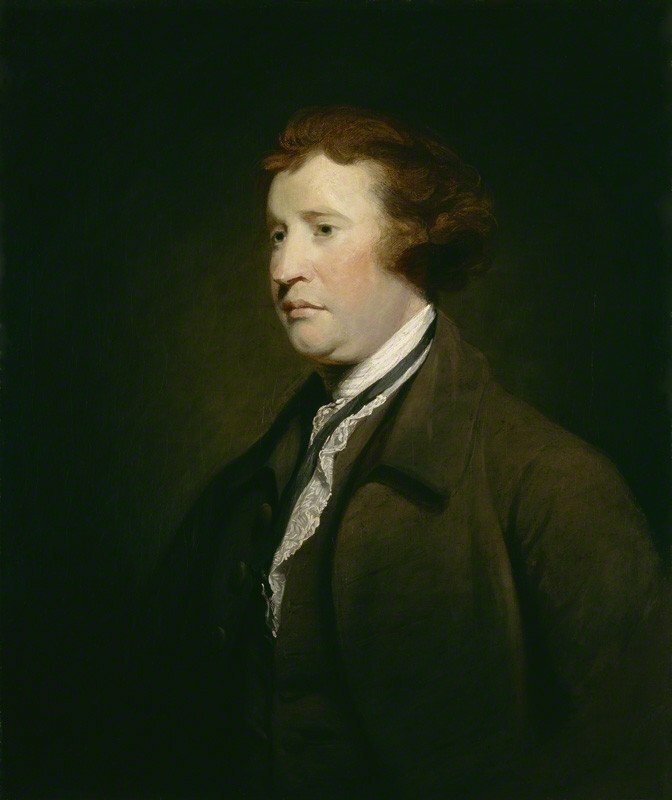 The Irish statesman and philosopher, Edmund Burke was born #OTD 1729. Unlike the beautiful, Burke's aesthetic concept of the Sublime required the spectator to experience the awe of sublimity through terror, power, darkness, vastness & infinity thus overwhelming our finite mind. Nature's sublime experience with its terrifying beauty of incomprehensible power threatens our human finiteness with the infinitude of spaces. Human speech fails to fully describe its vast power likewise it cannot be defined ethically [good or evil]. #OTD 1941, in his State of the Union address, FDR delivered the 'Four Freedoms' speech. Freedom of Speech (Freedom of Expression) "is a principle that supports the freedom of an individual or a community to articulate their opinions and ideas without fear of retaliation, censorship, or legal sanction". Freedom of worship "is a principle that supports the freedom of an individual or community, in public or private, to manifest religion or belief in teaching, practice, worship, and observance. It also includes the freedom to change one's religion or beliefs." 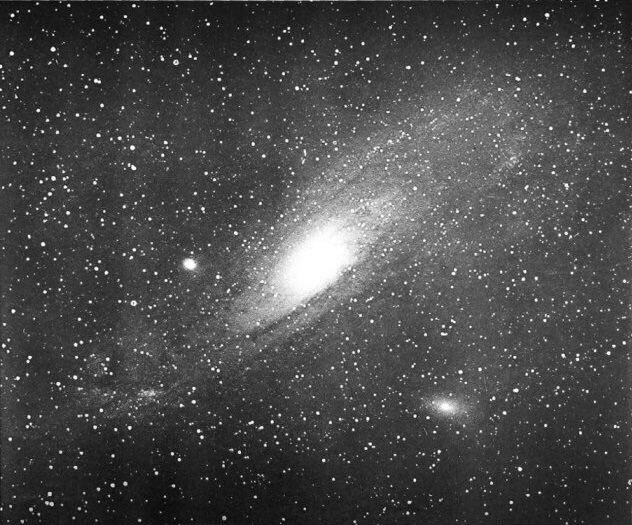 Edwin Hubble announced that Andromeda and other spiral nebulae were separate galaxies outside the Milky Way, in a paper read to a @AAAS meeting by H.N. Russell #OTD in 1925. He built on observations by Slipher and relied on Henrietta Swan Leavitt’s studies of Cepheid variables. The universe was more than just our little island of stars, vaster than anything most astronomers had imagined. On the one hand, January 1st is a pretty arbitrary date, astronomically. 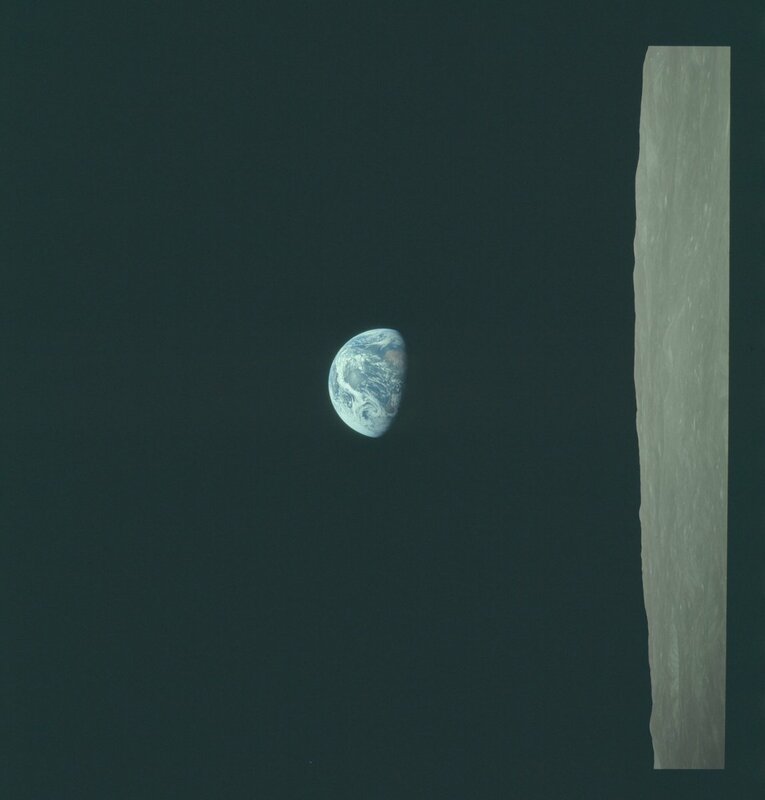 On the other hand, happy 94th anniversary of humanity taking a monumental step towards understanding our place in a vast, mysterious, but ultimately knowable Universe. 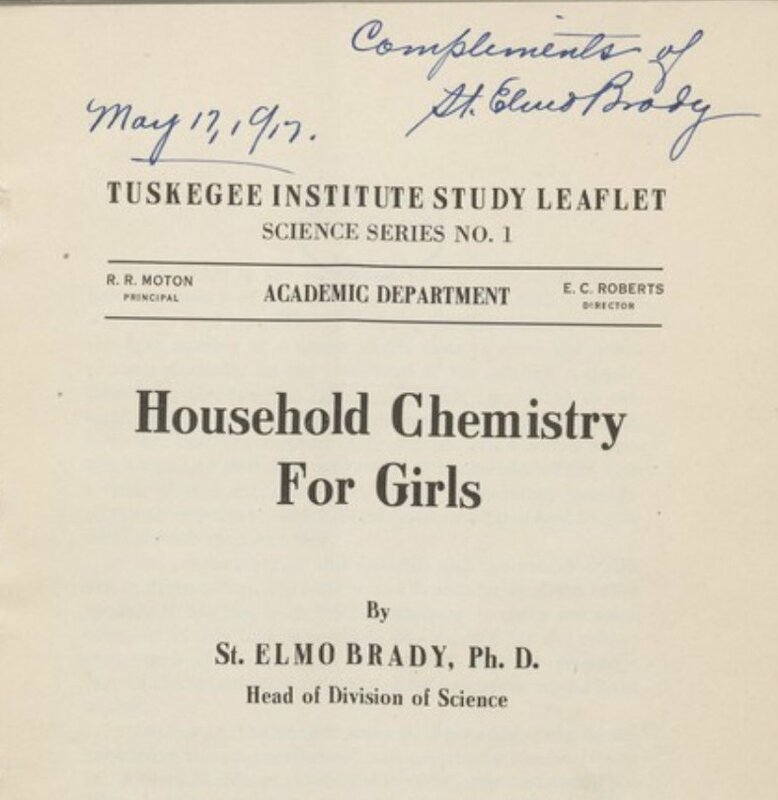 The chemist & educator St. Elmo Brady was born #OTD in 1884. 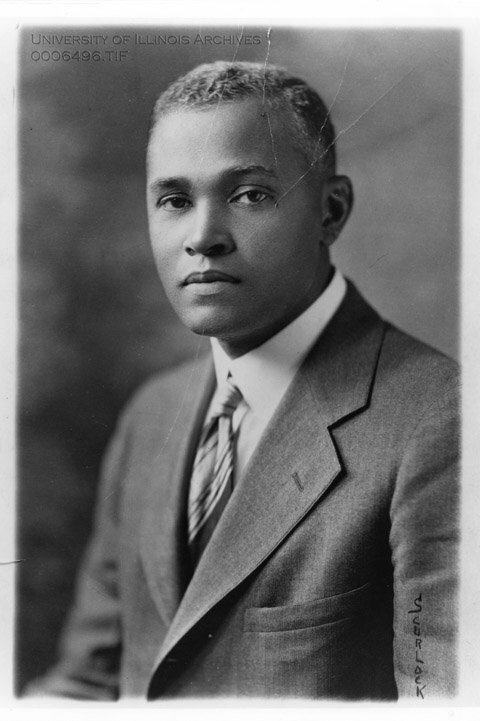 He was the first African American to receive a PhD in Chemistry (University of Illinois, 1916). Brady worked on organic acids, infrared spectroscopy, and halogen compounds, and he expanded chem programs at four schools. 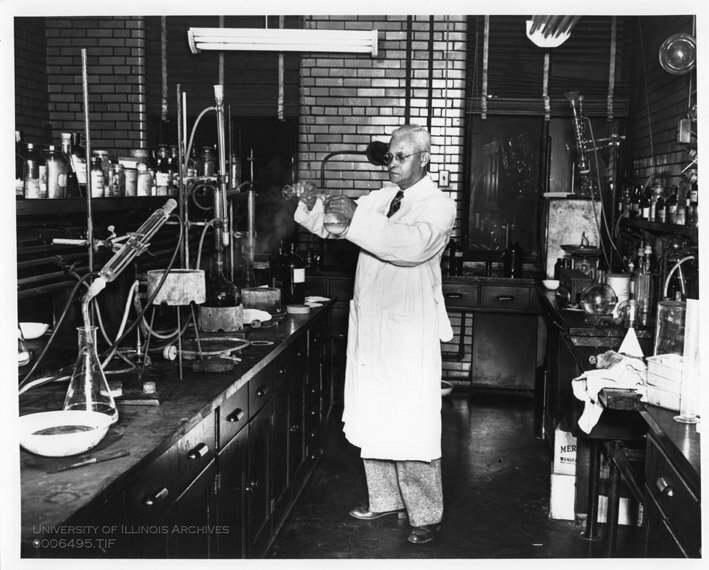 Dr. Brady in his lab at Fisk University, sometime around 1950. 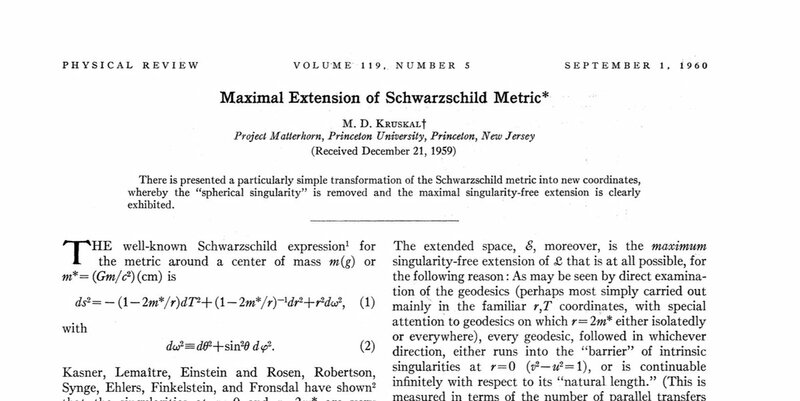 Martin Kruskal submitted his paper "Maximal Extension of Schwarzschild Metric," which explained the full spacetime structure of Schwarzschild's black hole solution of general relativity, #OTD in 1959. A notable feature of Kruskal's work was the interpretation of the "interior" region of the Schwarzschild black hole as a wormhole that might connect two different spaces, or perhaps two different regions of space. Alas, the wormhole is not traversable. Oh neat. Martin Kruskal invented a magic trick which often confounds magicians because it is actually a math trick related to Markov chains. 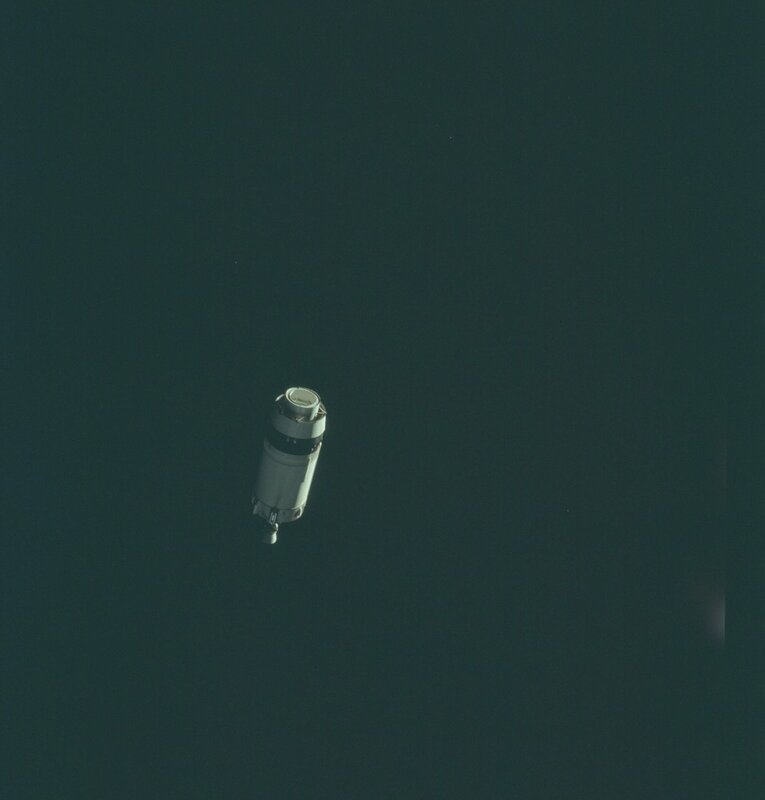 Apollo 8, the first mission to carry astronauts out of low Earth orbit, and then reach and orbit the Moon, launched #OTD in 1968. 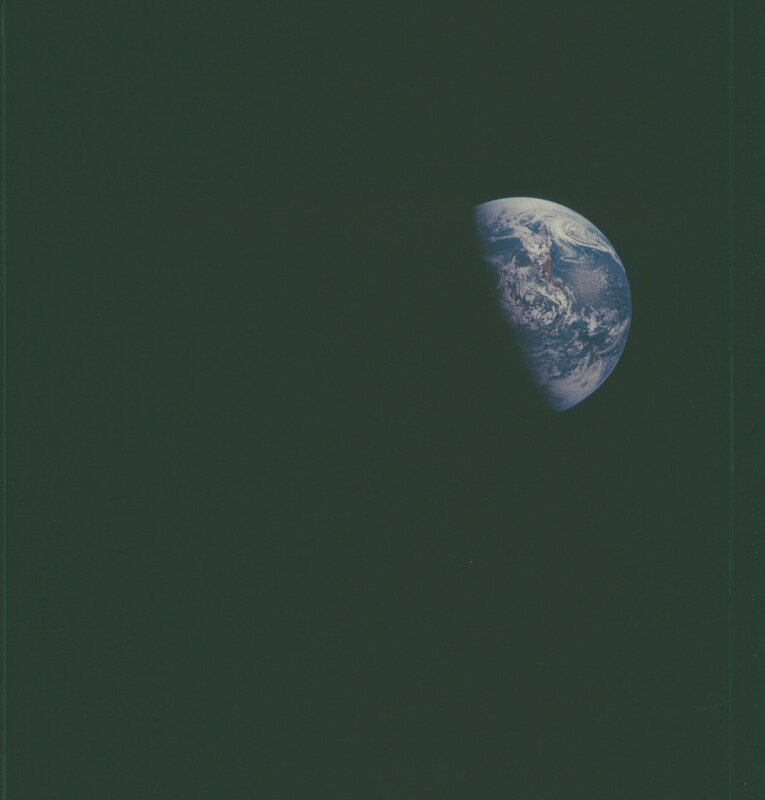 Look, it’s a nice planet, with everything we need. Maybe let’s not destroy the thin, ephemeral layer that keeps us all alive. 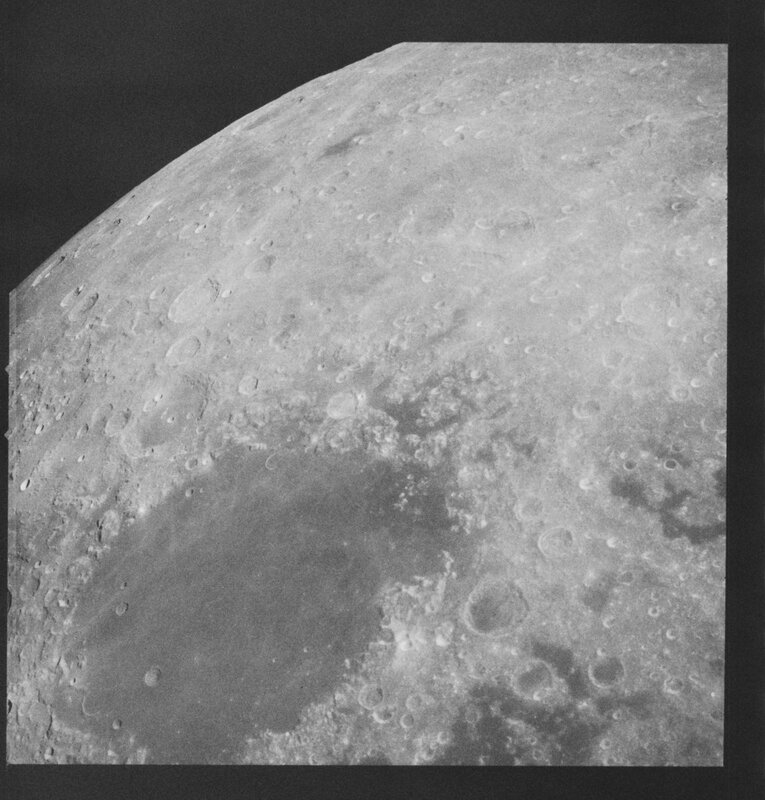 Today is the 50th anniversary of humans leaving low Earth orbit for the first time, and heading to the Moon. 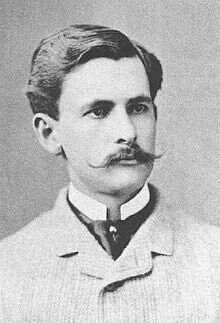 Albert Michelson, pioneer of optical interferometry, was born #OTD in 1852. He refined measurements of the speed of light, failed to find evidence of the aether, and developed a method that now underlies gravitational wave detection. 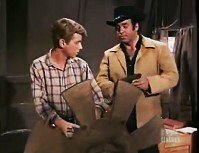 Here is something you may not know about famed physicist Albert Michelson: The “Look to the Stars” episode of the TV show "Bonanza" features a young Michelson performing various experiments and measuring the speed of light. The Cartwrights help him get into the US Naval Academy. 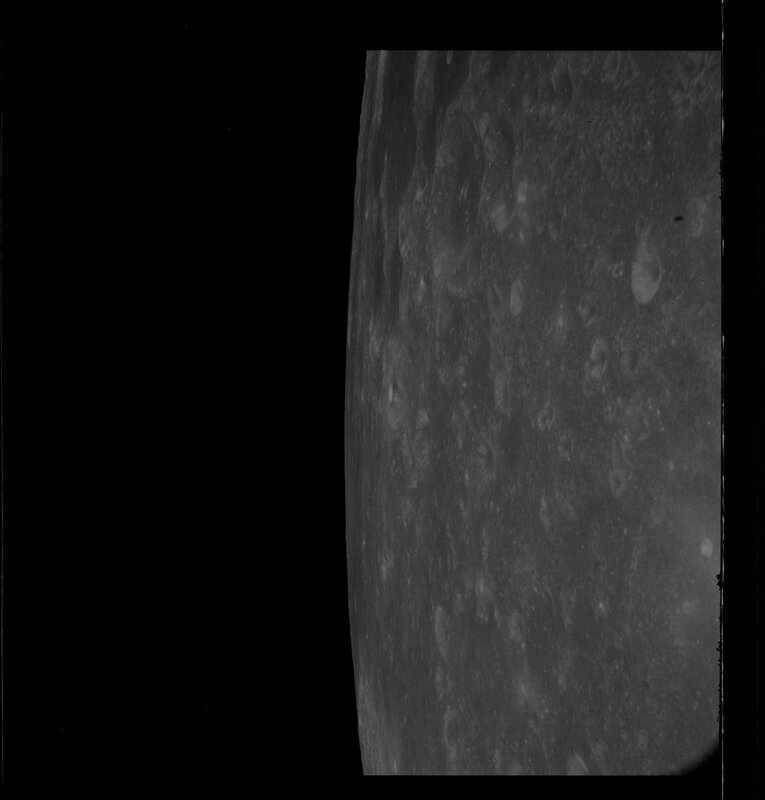 Anyway, here is a thread about Michelson, his famous "failed experiment" that eventually led Einstein to propose special relativity, and how his work relates to @LIGO and the discovery of gravitational waves. 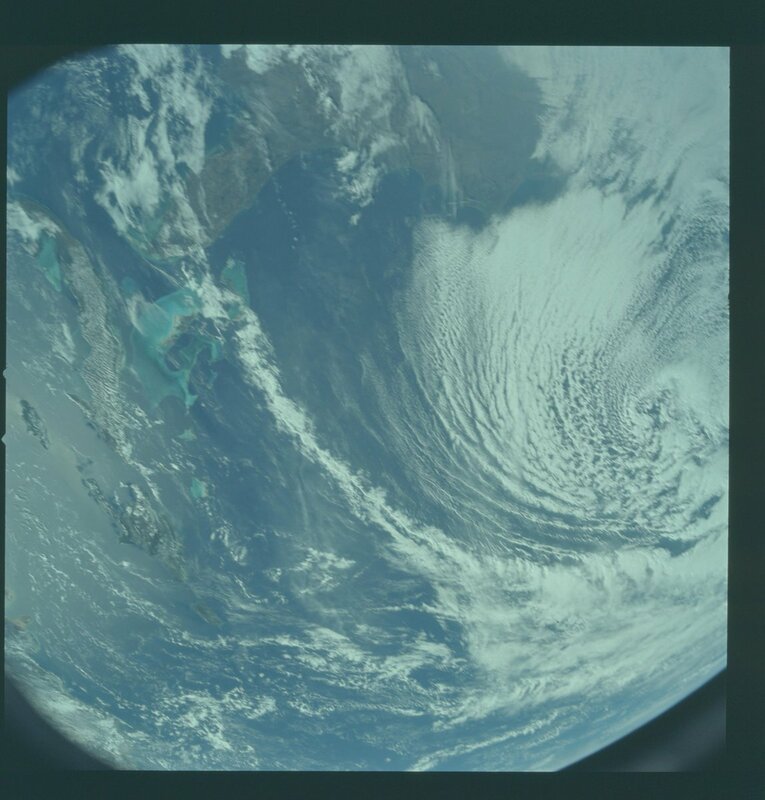 Roger Penrose submitted "Gravitational Collapse and Space-Time Singularities" #OTD in 1964. He showed that singularities appear to be a generic consequence of gravitational collapse in general relativity, not just a feature of highly symmetric spacetimes. 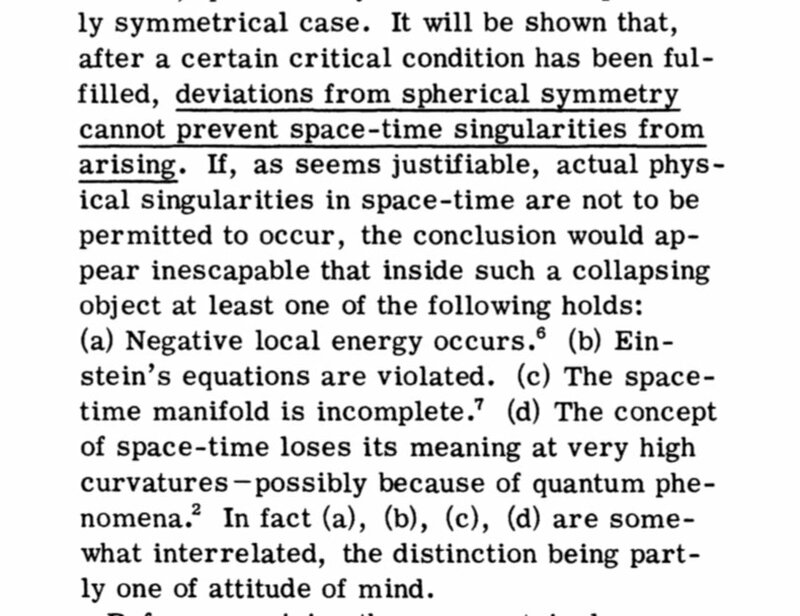 Here is Penrose's main conclusion, along with four possible avenues for resolving spacetime singularities. 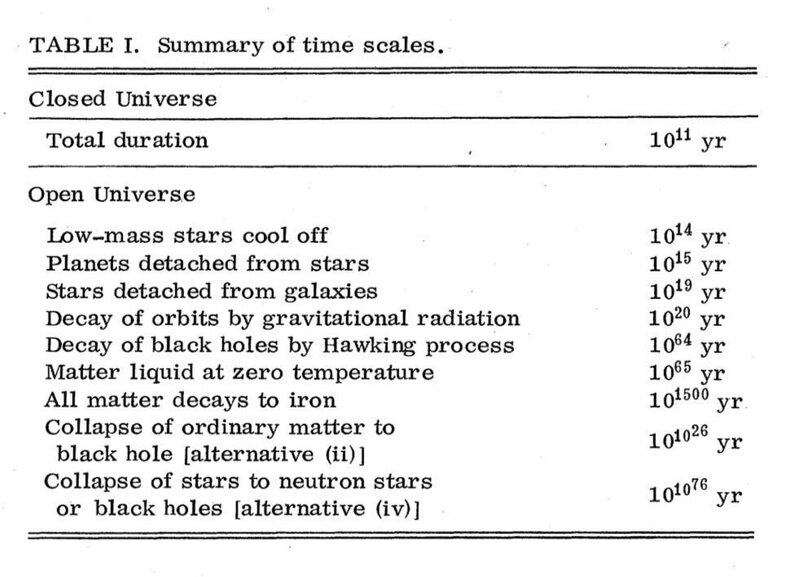 In one form or another these are all still active areas of research 53 years later. Before this paper it wasn't clear whether singularities were in some sense contrived; the end result of evolution from an especially symmetric initial configuration that is too perfect to occur in the real world. Penrose showed that they were probably generic and unavoidable. Gilbert Lewis, a physical chemist at UC Berkeley, coined the name "photon" for the quantum of light in a letter to the editor of Nature #OTD in 1926. "I therefore take the liberty of proposing for this hypothetical new atom, which is not light but plays an essential part in every process of radiation, the name 𝒑𝒉𝒐𝒕𝒐𝒏." 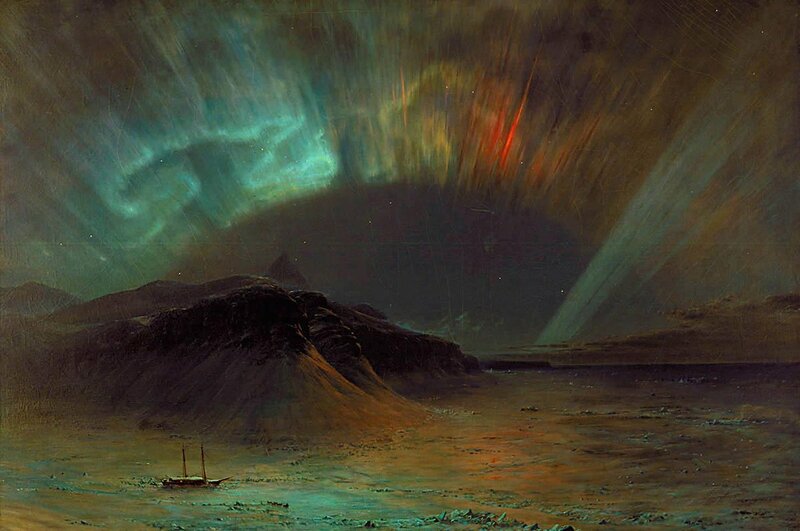 It turns out that photons aren't conserved in the way that Lewis proposed, but the name stuck. "The photon" is certainly a catchier name than Einstein's "das lichtquant,"
This is maybe the dumbest thing I’ve ever heard anyone say on this godforsaken website. 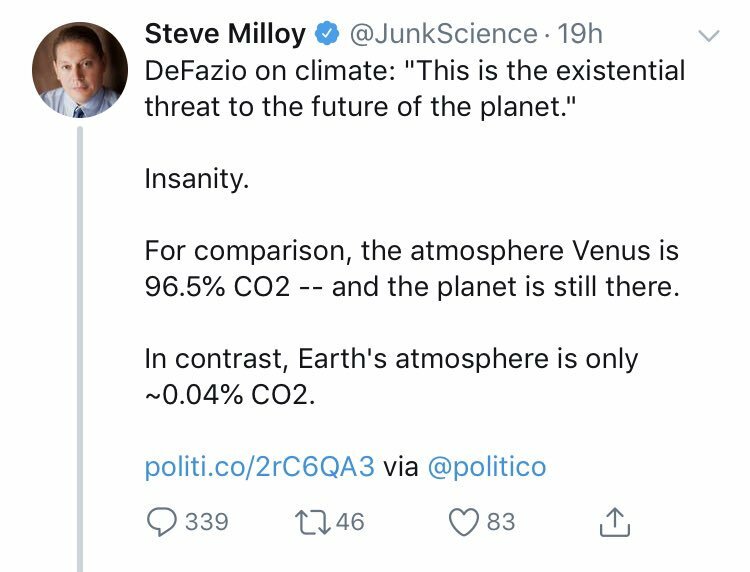 If you’ve been sitting on a horrendously dumb take I advise you to air it out right now because nothing else anyone says today is going to top this. 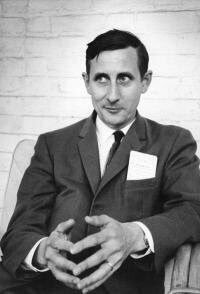 Happy 95th birthday to physicist Freeman Dyson, born #OTD in 1923! He is known for his work in quantum electrodynamics and –among many other things– his eschatological musings about physics and the prospects for life in the far-flung future. 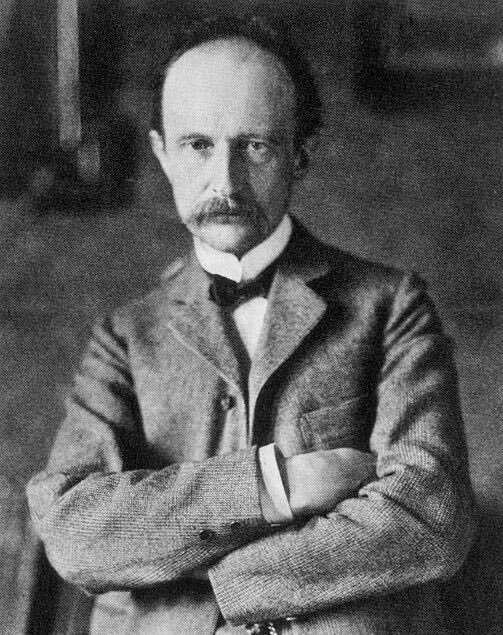 Max Planck presented findings on the emission of radiation from a blackbody to the German Physical Society #OTD in 1900, based on his quantum hypothesis: the postulate that light of frequency f is emitted or absorbed by matter only in discrete chunks of energy E=hf. 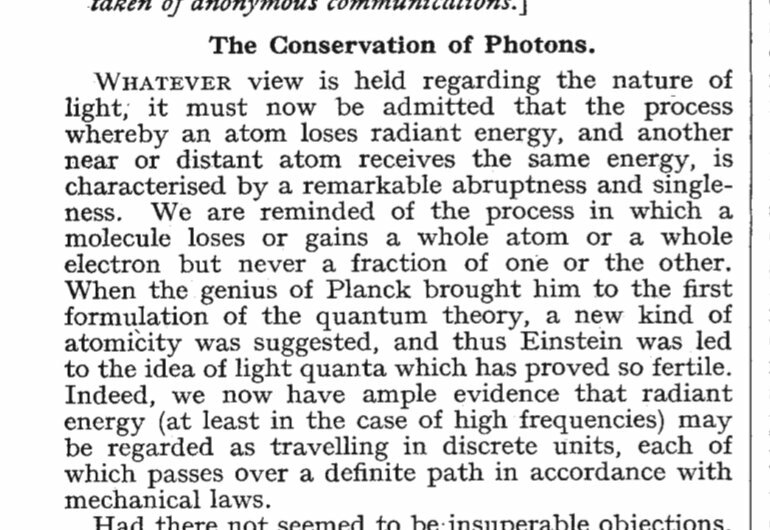 As I was saying, before I was so rudely interrupted by a day of grading exams: Planck presents his quantum hypothesis, which would end up transforming 20th century physics, to the German Physical Society #OTD in 1900. But he didn't think it was *real*. Rather, Planck regarded it as a mathematical trick. 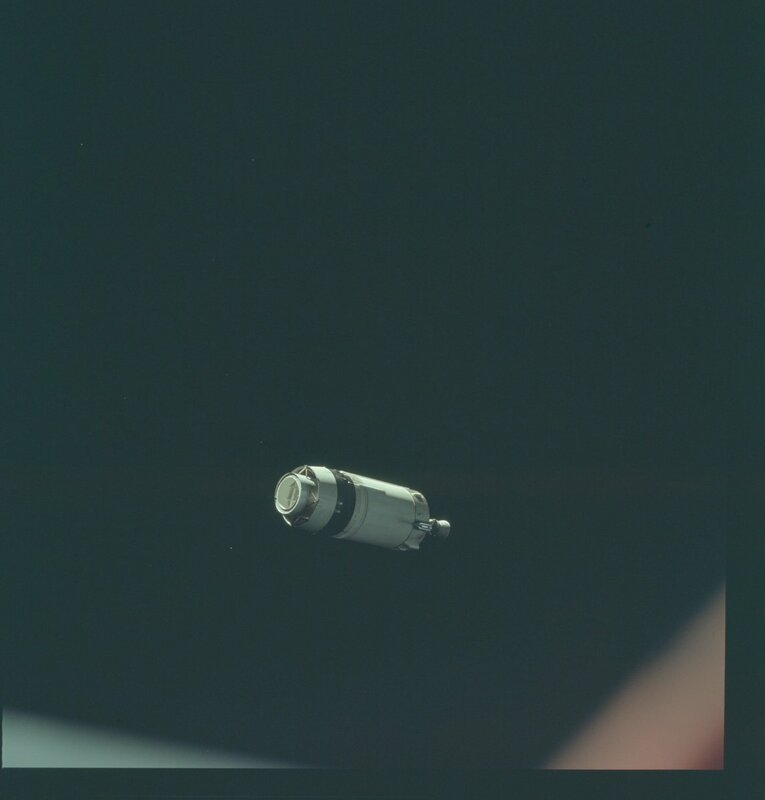 He was sure that perfectly pedestrian physics governed the emission or absorption of radiation by matter. It's just that the details weren't quite understood, and invoking quanta gave a quick route to the answer.